BSD Opensky is a highly-efficient, attractive, low profile louvred natural smoke vent which has been specifically designed for both smoke and heat exhaust and natural smoke ventilation applications. Opensky can be roof or wall mounted for exhaust or air inlet. 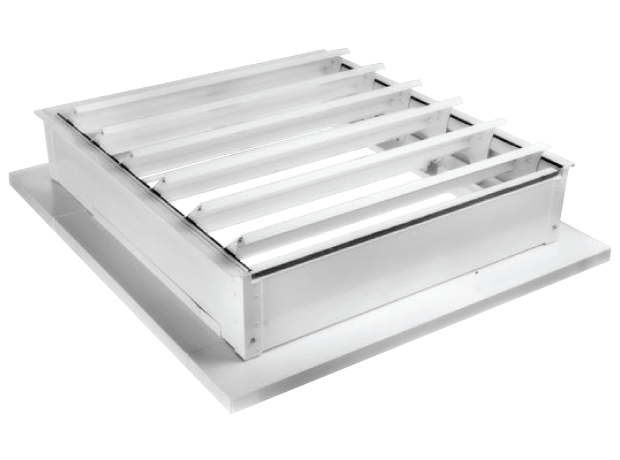 This roof ventilation system offers effective fire safety with units tested for use as smoke vents to BS EN 12101-2.